The overwhelming majority of workers’ compensation injuries are fairly visible in a physical sense, such as broken bones or bleeding limbs. However, countless injuries each year are either ignored or denied workers’ compensation simply because they are not physical in nature. Mental health conditions like posttraumatic stress disorder (PTSD), panic disorder and shock can be just as detrimental to one’s work as physical injuries, and yet sufferers who develop their condition as a result of their work are almost never eligible for compensation. No one disputes that mental illnesses like PTSD are serious and can be debilitating. However, the Florida legislature has held that they are simply too subjective to give eligibility for workers’ compensation to sufferers. Indeed, the relevant law states explicitly that an injury arising from “stress, fright or excitement only” is not eligible for workers’ compensation benefits, and may not be eligible for other types of benefits, depending on whether one can present the information that will doubtless be requested in such a case. Many believe this to be an unfair distinction between those who suffer physically and those who suffer mentally or neurologically, and at least in some ways, it may be the case. First responders, for example, must deal with harrowing experiences every day – yet, no mental health or crisis counseling is available as of this writing which will pay the bills without extensive argument as to why they should. Defenders of the state’s law point to how easy it is, comparatively speaking, to put on the symptoms of mental illness, arguing that it cannot be the state’s responsibility to sort those seeking an easy payday from those truly suffering. The exception to the general prohibition on workers’ compensation for mental health issues is if they are linked to a physical injury sustained on the job. For example, if a construction worker falls from a scaffolding and later develops PTSD as a result of the experience, both conditions will be considered in determining eligibility for workers compensation. However, the law still puts limits on just how much of one’s benefits may go toward mental health care, and for how long. In many cases, if a worker develops a severe psychological condition, they are urged to apply for Social Security disability, rather than for any form of workers’ compensation. In the workers’ compensation system, an employee is expected to return to work when the maximum medical improvement has been made, and with psychological conditions, that point is extremely difficult to determine. Applying for SSDI does not present such a problem, as benefits are awarded upon the assumption that the applicant will be disabled either for the long term or until their death. 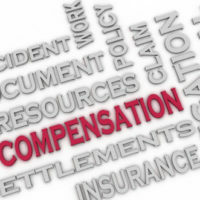 Workers’ compensation is not necessarily the answer when a condition is developed at work. However, it is possible to win cases involving psychological trauma, though all the relevant facts must be in your favor, including having an attorney who understands the nature of this area of law. The Winter Park workers’ compensation attorneys at the Hornsby Law Group are happy to sit down with you and try to work out a path forward. Call the office today to set up an initial appointment.